He is the burger king. And much more. His “crown” is the baseball cap he wears nearly daily, atop his camo jacket. Not because he’s trying to blend in, but because he is always on the hunt for a solution. Results. Answers. Kent is a problem-solver and a multi-tasker. Often running several projects at once. From Burger Kings (he’s worked on 1,200!) 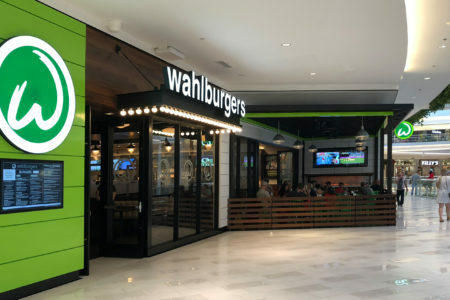 and Wahlburgers to SUPERVALU and Cub Foods, Kent touches retail, restaurant and distribution projects of all shapes and sizes. As a Senior Project Captain, he manages a variety of national rollout programs. He’s been doing it for over 30 years. As one of the first CAD technicians in the Twin Cities, Kent has seen a lot of change. But he’s always enjoyed the industry and thrives on the energy. From managing budgets to contracting, staffing, drawing and construction administration. To him, there is nothing better than working on a project from start to finish. He does way more than roll out prototypes, he manages and cares for each of the brands he represents. His secret is simple: he picks up the phone to get answers and achieve results. Kent’s not afraid to get his hands dirty – so it comes as no surprise that he used to be a mechanic. A hobby he still enjoys today. He’s driven at work and at home. His camo jacket and cap are just a reminder that he’s not afraid to stand out in the office and blend in outdoors.